How to optimize your website for the audio search? Advancement in technology is fast pacing out old ways of doing things. You are not only able to buy assignment instantly but also find the best services on the web with voice searches. Typing search queries, to many, is becoming outdated, and it is all thanks to Machine Learning and AI technology. This post delves into the issue of voice search optimization for websites, a concept that is increasingly becoming popular in tech discussions around the world. The question is: are you ready for a new revolution in optimizing not only your website’s content but also enhancing the experience of those who visit it through audio searches? Well, take a dive in and learn everything you ever wanted to know. While tech giants like Google, Apple and Microsoft have been around for decades, are they improving audio search experiences through audio searches through Google Home, Siri, and Cortana respectively? Well, Google’s voice queries started way back in the year 2010. However, the process was cumbersome as web users had to call a phone number that will prompt them to input voice commands. Times have changed though, and today’s voice search brings elegance and convenience to your browsing experience. With the integration of Google Now (Virtual Assistant), Google Maps and Search Engine, voice search has got a facelift in recent years. The search engine operates complex and advanced algorithms that process input queries to give browsers specificity and the highest level of accuracy. This changed for the better when the tech giant embraced semantic search concept. Hummingbird update was at the centre of it, and the outcome has been the best. The company’s natural language processing technology (NLP) has also helped improve semantic searches by intelligently inferring meaning in queries. And while other voice search developers like Microsoft (Cortana), Apple (Siri) and Alex sound interface bot operating in a similar way, Google’s hi-tech approach has realized more accuracy. Tracking page visits and conversions has always been easy with Google Analytics. But, with audio searches now furthering the experience of web users across different devices, incorporating voice data will undoubtedly improve marketers and advertisers approach to message packaging. Now, before looking at how you can optimize your website for spoken word searches, it is imperative to find out about popular voice search commands. Ostensibly, this varies based on age and gender according to recent statistics. Audio queries regarding directions are popular among adults. Others include searches about movies show time, ‘Near Me’, songs and how to pronounce certain words. The mainstay behind these trends is that while people can type an average of 40 words per minute, they speak more of the same at an average of 150 words per minute. Thus, there is less effort in audio search queries and the experience is seamless with mobile devices. Try typing ‘writing from home’ and see how many results will appear on SERPs, including semantic/inferred/ implied meanings Google processes based on content optimization in different websites. The catch here is that custom writing agencies will appear alongside their URL links, not to mention rich search snippets. This section is about making it easy for those who input voice commands into Cortana, Google Home or Sir find your website. This is a technique whereby you bear in mind the intentions of people who visit your website. Are they looking for an address of a business, the price of a product or directions? With this information in mind, optimize your content by answering these questions using relevant information, which in turn makes it easy for Google crawlers to index your content. Devices like iPhone and Samsung have inbuilt browsers, but it is noteworthy that optimizing for Siri, Cortana or any other, and not Google is not going to be the best idea. It is because the world’s largest search engine works across all devices, and that sales volumes of these leading gadgets keep fluctuating. However less competitive long-tail keywords are compared to shorter ones, they are very important when optimizing for audio searches. It is because they are conversational and natural, which is a true reflection of how people speak. It is also a cheaper way of content optimization and will earn your website more clicks-through. Make use of Business listing (Google My Business). It is imperative to continuously update the physical business address info and other listinga on your website if you want to tap into audio searches. When creating ‘Near Me’ content, include maps, images and directions for specificity and relevance. 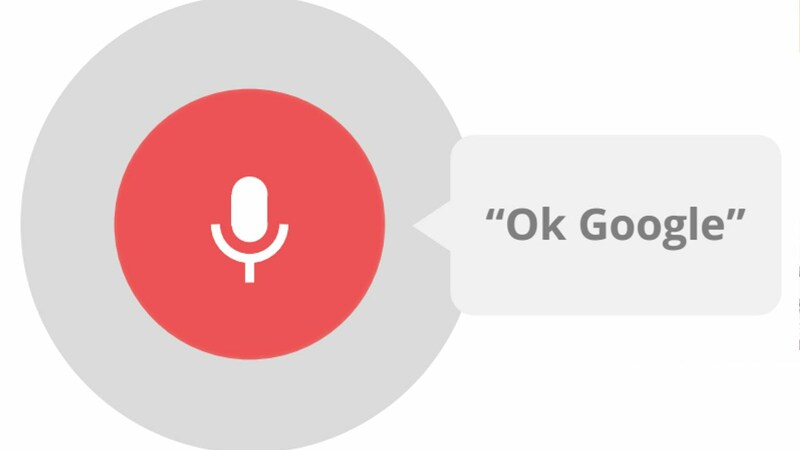 The conversational advantage of voice commands over typed queries means you must make it easier for those visiting your website to find answers. Create questions and give direct and specific responses. Finally, understanding how voice search works and then applying your SEO knowledge is going to revolutionize your business for the future. It’s either you act now or lose face in the race for improving the browsing experience for clients. Technology keeps changing, and so is the way people find the information they need online. Audio searches are just entering its peak, which means, once AI takes shape, we can expect a less typing when making online queries via search engines. The tips in this post should thus help you optimize your content not just for now, but also for the future. Alice Yoon is a Search Engine Optimization expert and with many years in training people to make money online. She has helped start-ups embrace emerging technologies as a means to succeeding in online business. Alice has also written several books on how search engines work including, how to make the most of audio searches.